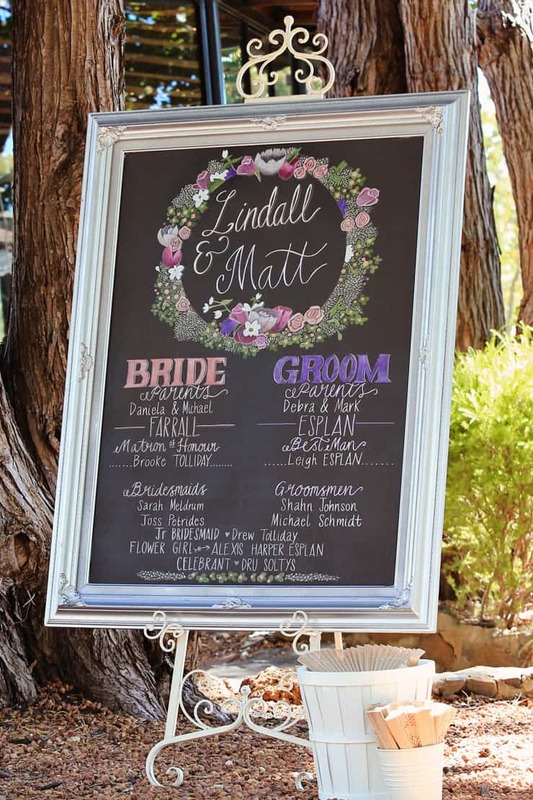 Based in Western Australia, Chalk Art Magic delivers stunning original artworks to couples across the country. 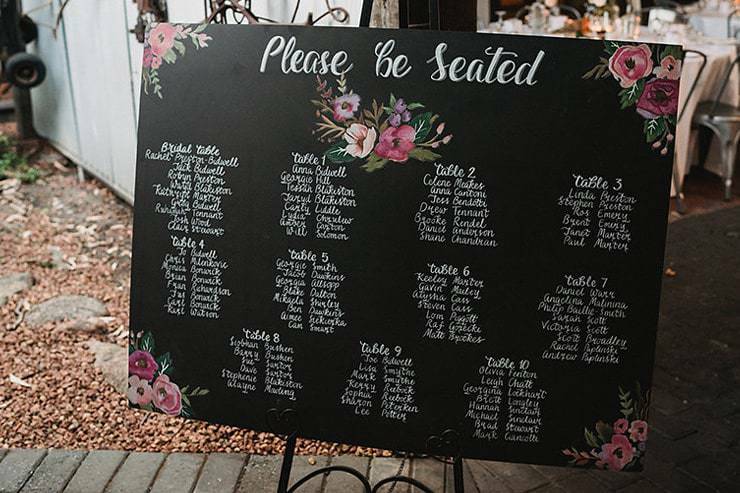 Using everything from chalkboards to window panes as her canvas, there’s no limit to the beautiful designs Megan can create for your wedding. Think illustrated welcome signs, seating plans, photo booth props, menus…you name it, she paints it! What’s something every couple should know about the work you do? All of our signage is bespoke and original. 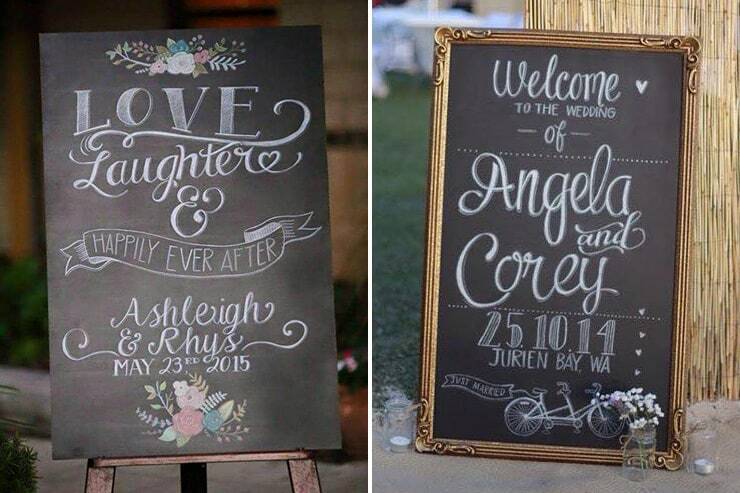 You aren’t just buying a wedding sign but a piece of artwork. That we don’t just offer chalkboards! 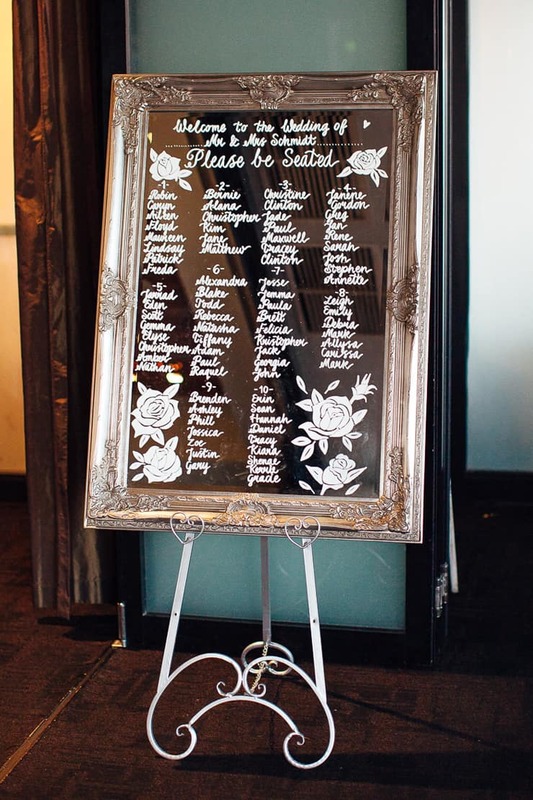 Painted timber signage and calligraphy for invitations and place cards are also available. What’s your favourite part of being an event signage artist? It’s very exciting to be allowed to be part of a couple’s special day and share my creativity with them. 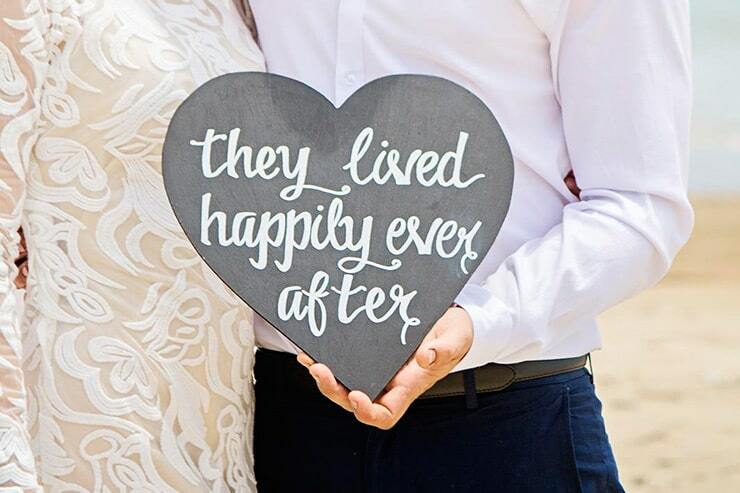 What’s one popular question you get asked by couples considering wedding signage? Will the chalkboards smudge? No, all of our signs are sprayed with a sealer so they will last. What advice you would give couples planning their wedding right now? Book in advance and don’t be afraid to be different! You can connect with Chalk Art Magic on Facebook, Instagram and Pinterest.